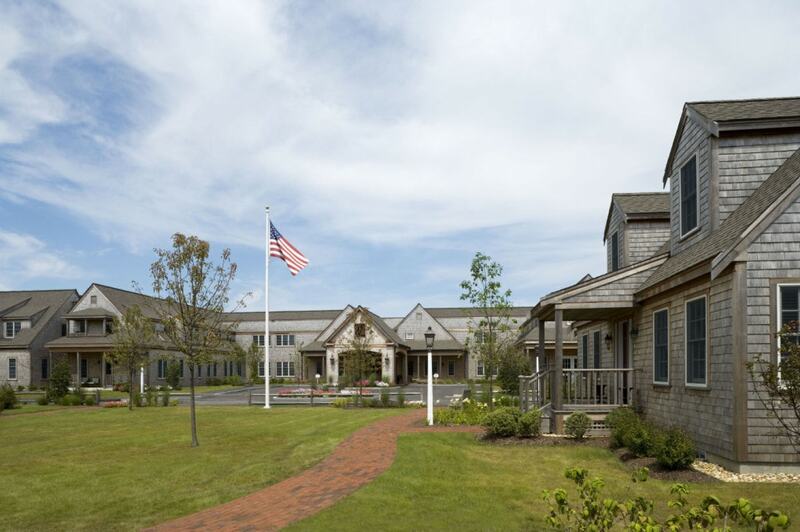 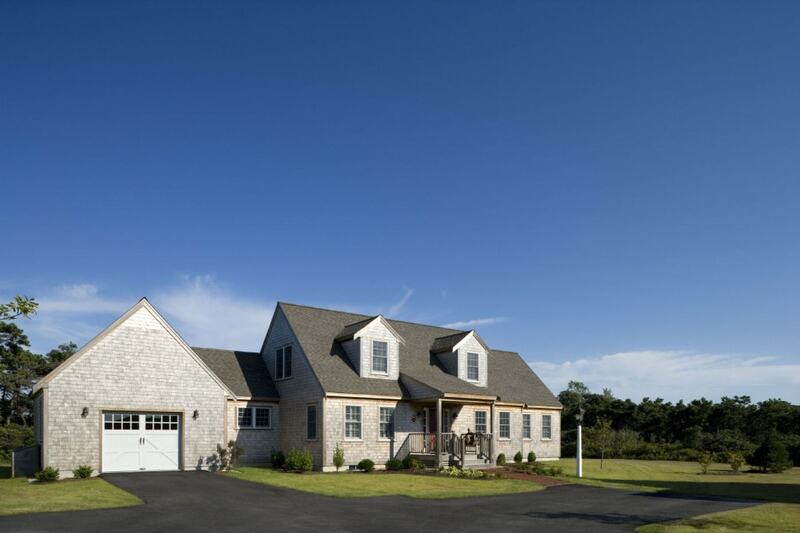 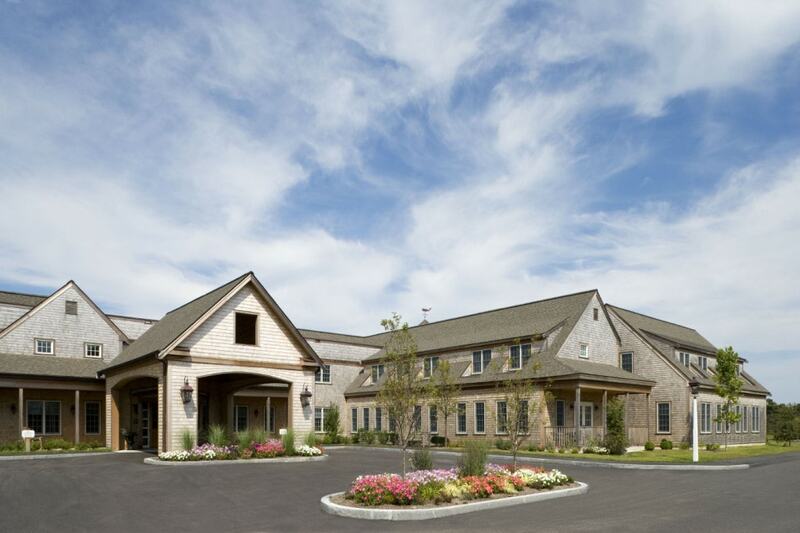 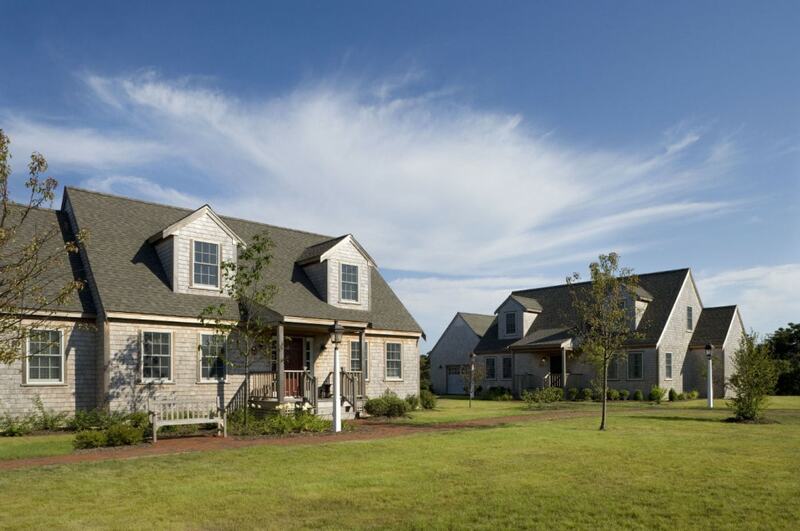 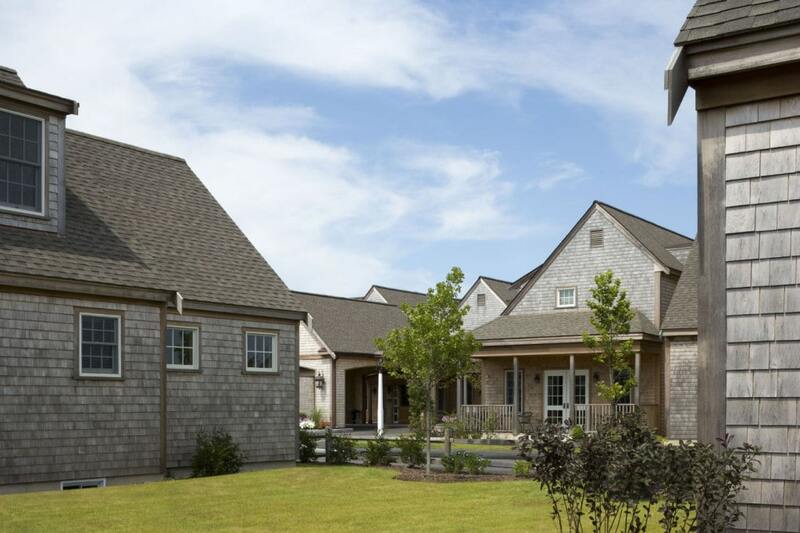 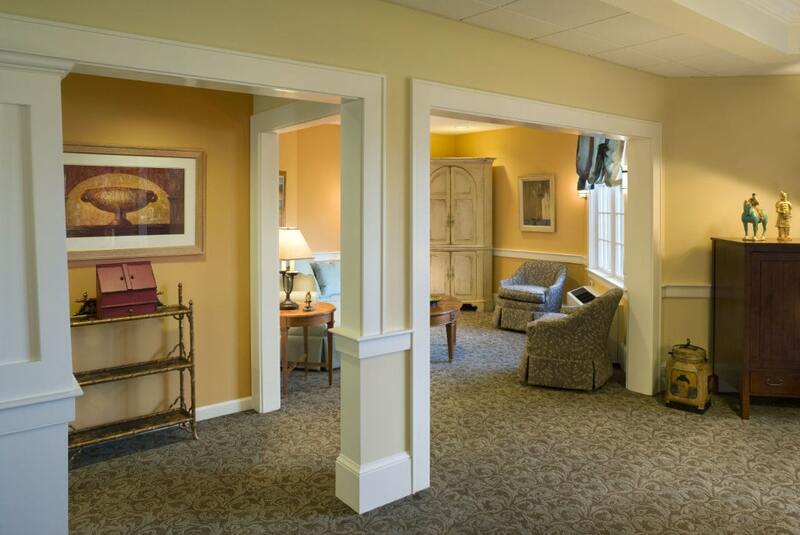 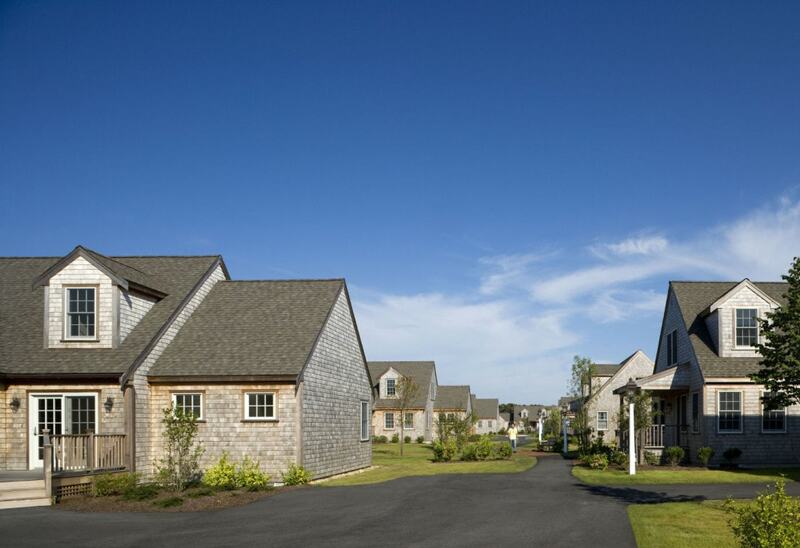 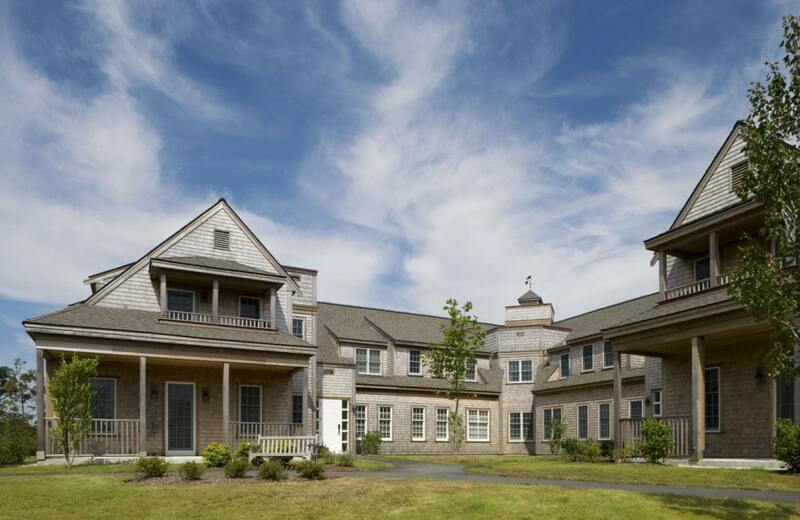 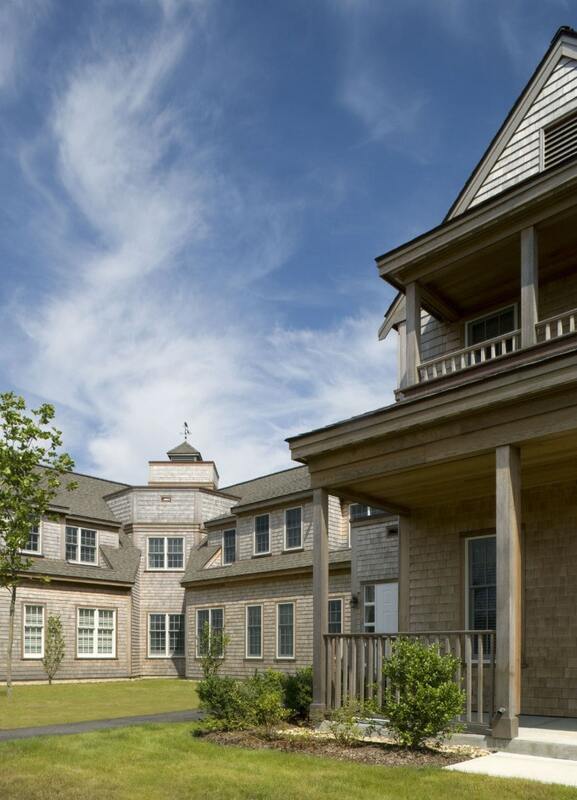 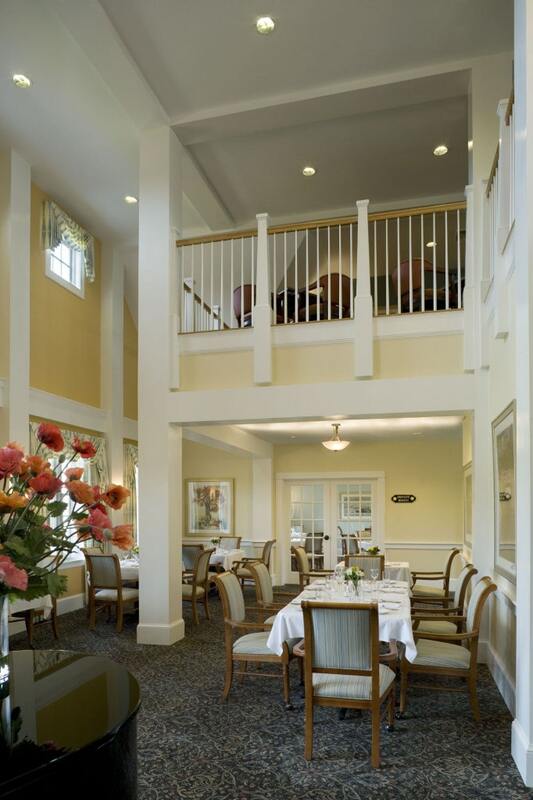 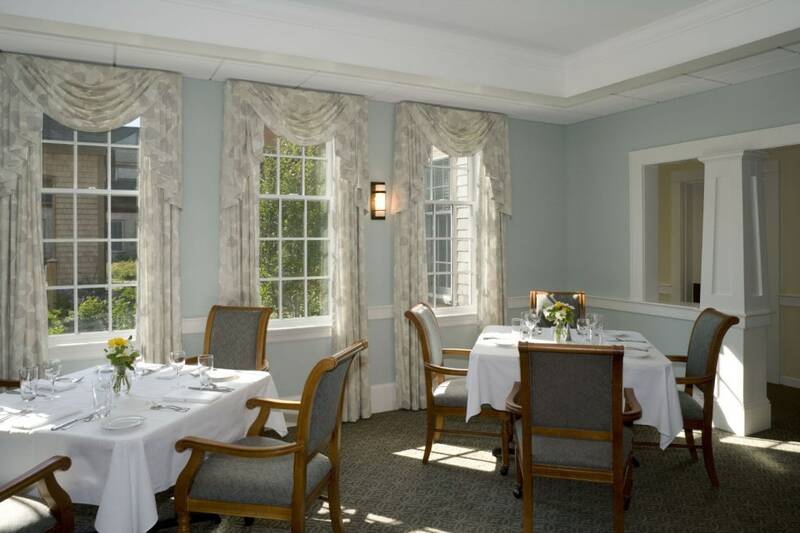 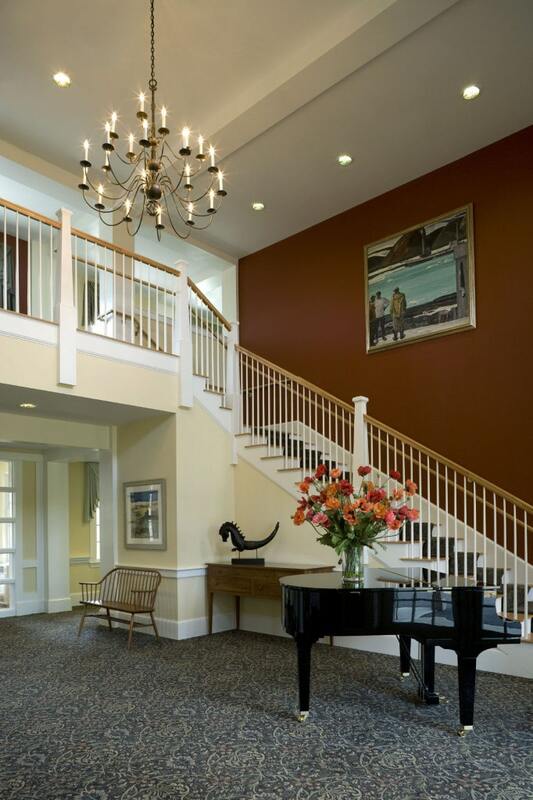 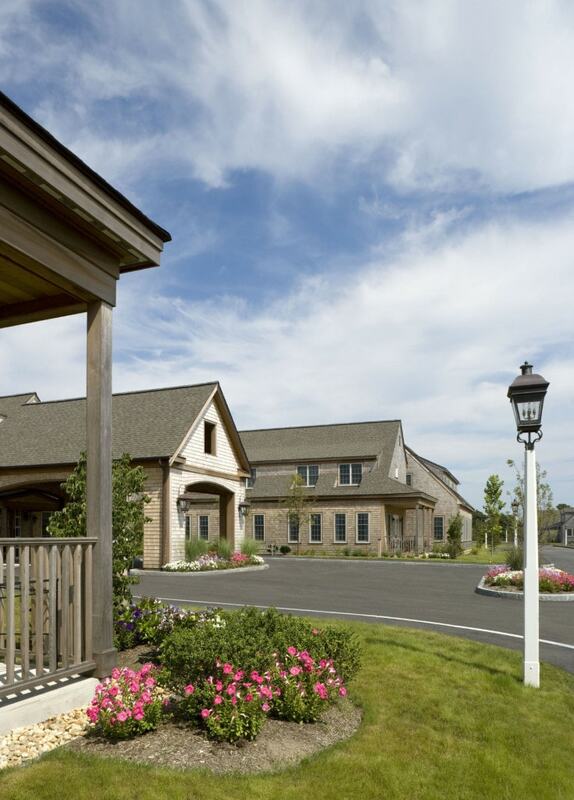 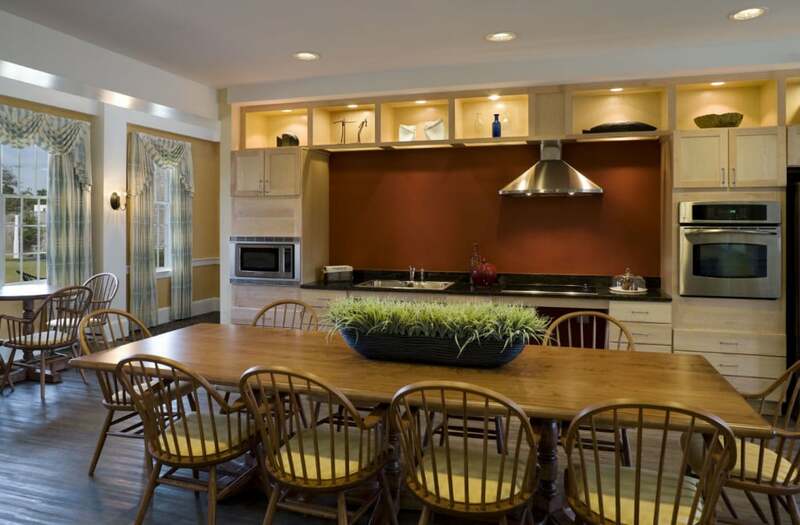 Located in the center of Nantucket Island, the project consists of independent cottages, duplex homes for staff, and a congregate building with Independent Living apartments, Assisted Living apartments, and Special Needs (Dementia) apartments. 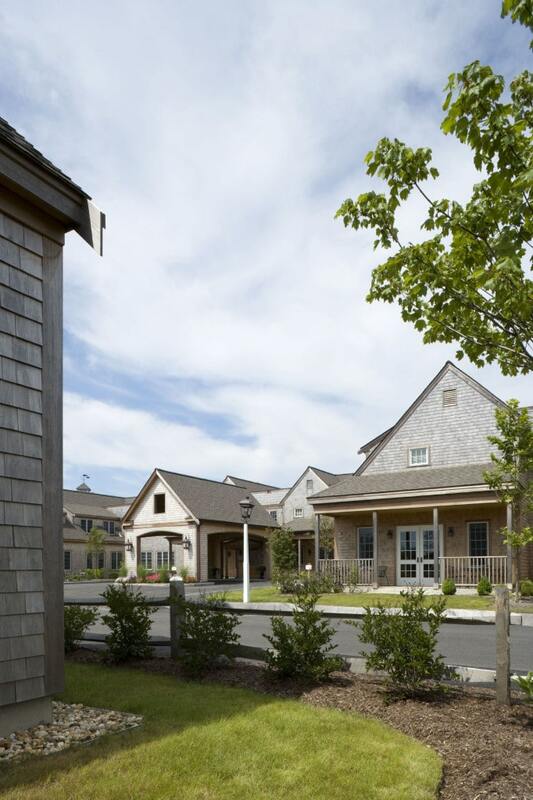 Conceptually, the Sherburne Commons masterplan attempts to replicate the historic village character that is so precious on the island with particular emphasis placed on pedestrian and vehicular circulation networks within a relatively high density development center. 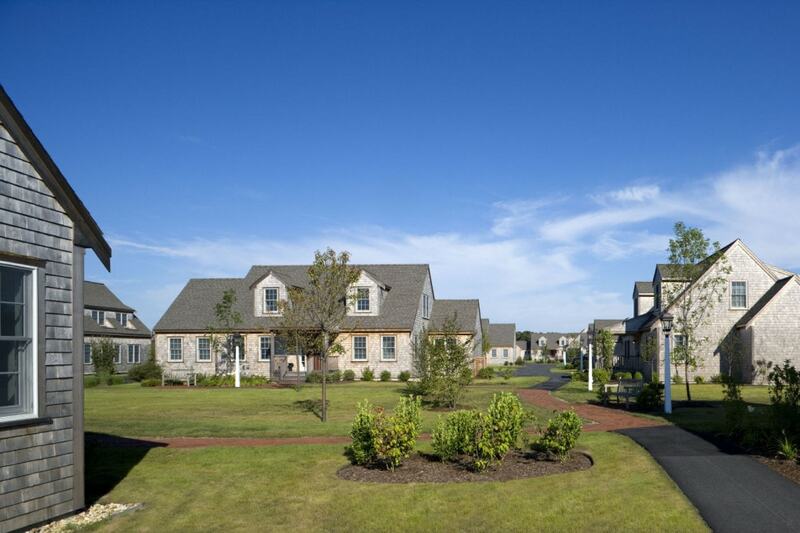 The Congregate Building, and the gardens created by it, are clearly the village center, with additional neighborhoods composed of the cottages arranged around them. 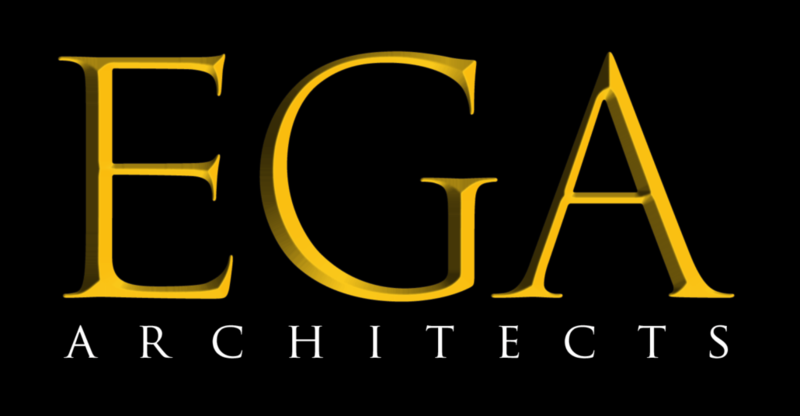 Emphasis is also placed on variety, and an extremely small scale architecture within a large amount of surrounding open space. 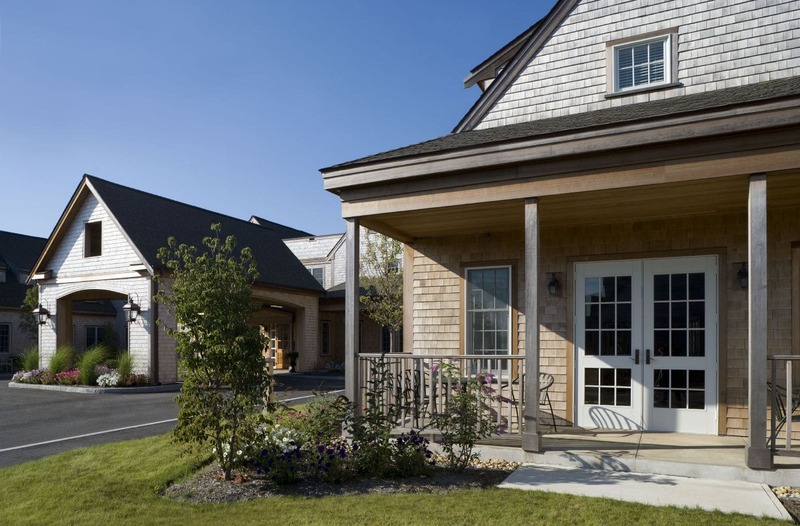 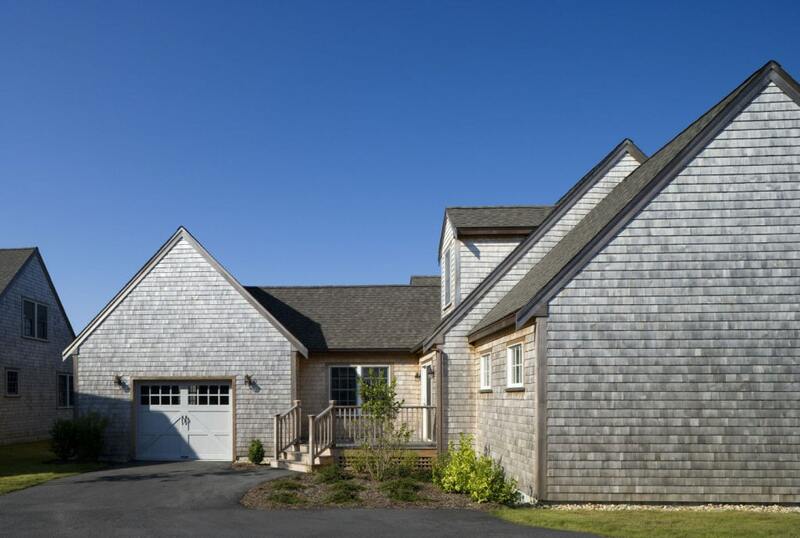 The architecture is typical of residential buildings on Nantucket with simple small scale forms and multiple orientations, sloped roofs,cedar shingle walls, white trims, and double-hung divided lite windows and doors.